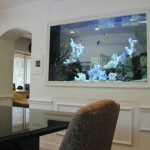 If you like the waterside and often think about spending time by the water, aquariums are one solution that allows you to take it home with you. 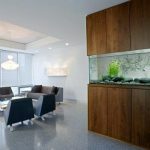 Aquariums can create a special atmosphere in your interiors, but their role does not end here: they can also be functional. 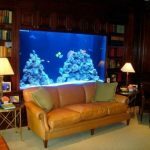 It’s almost a classic idea to use an aquarium as a coffee table or a source of light in the room, but there are even more uses for it. 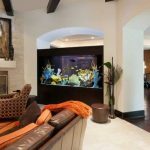 For example, you can use an aquarium to divide open spaces or to replace a part of a wall between two rooms. 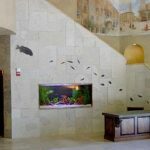 Building an aquarium in a stairwell might be a good idea to put the usually unused space to use. 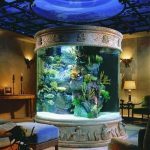 Also, an aquarium can be a piece of exotic, living decor in almost any interior. 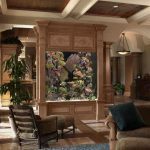 You can replace those boring modern paintings with something vivid and colorful. 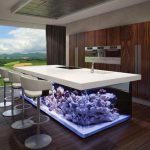 You can even use it as a stylish and original kitchen island. 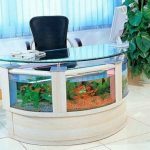 Most people keep fish at home for breeding or for decoration, but they are often used by businesses, too. 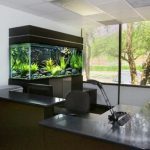 Aquariums are popular additions to office halls, restaurants and conference rooms. 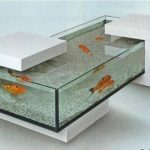 First you have to choose wisely the type of fish you want to keep at home. 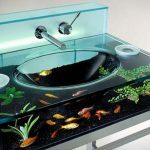 There are cold-water and warm-water fishes, the latter being the most colorful, but more sensible. 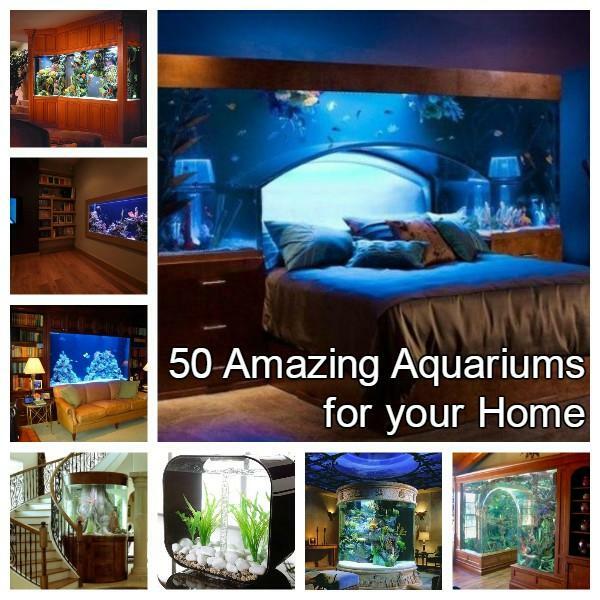 In addition, there are saltwater and fresh water varieties, all with different needs. 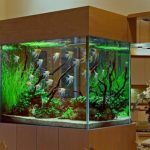 Specialists usually recommend the use of fresh-water tropical fish aquariums, as these are relatively easier to maintain and cost a bit less. 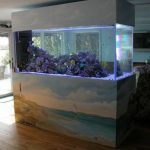 If you change your mind, you can adapt to seawater species later. 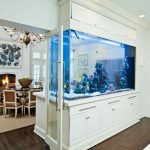 Size also matters, the experts say – be sure to measure carefully the space you have for your new aquarium before committing to buy. 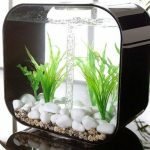 Also, do not forget about the weight: the larger the tank, the more water (and more weight) it will have to hold. 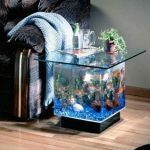 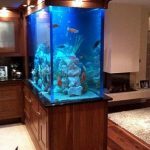 A typical 20 gallon aquarium has dimensions of 24x12x16 inches and, when filled, can weigh over 170 pounds, so you should choose its stand carefully. 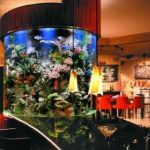 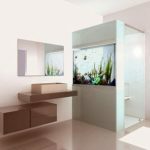 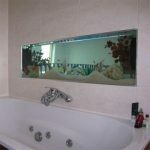 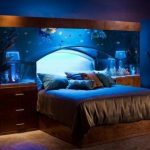 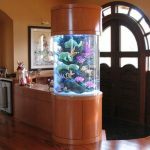 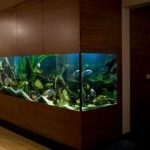 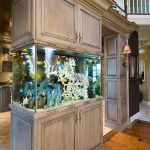 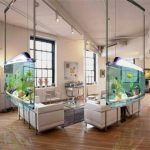 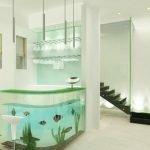 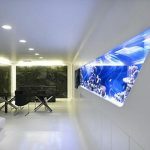 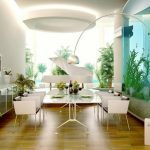 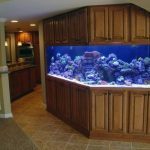 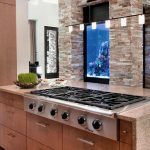 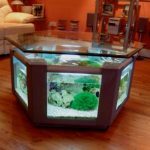 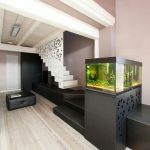 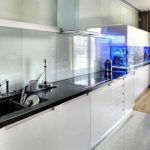 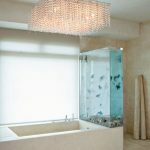 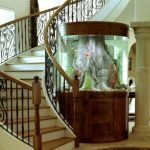 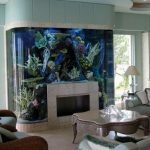 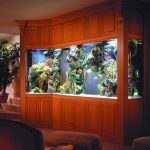 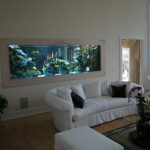 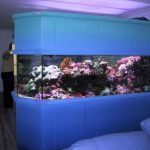 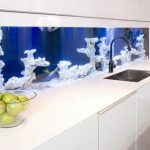 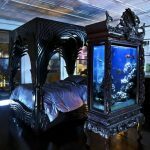 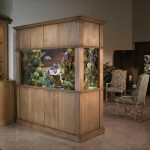 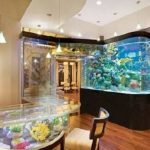 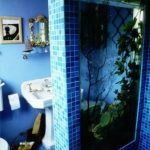 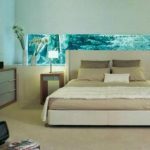 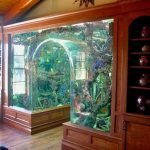 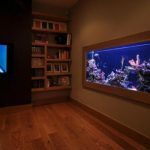 Here are some beautiful or even spectacular ideas of how a well chosen aquarium can add style and class to your home.